PORTLAND, Ore., July 20, 2017	(Newswire.com) - Starting August 7th, the best young athletes from around the world will gather at Alpenrose Dairy stadium in the pursuit of becoming Little League Softball World Champions. The Softball Little League World Series is a 31-game series with four teams from visiting countries and six teams representing U.S. regions. The four world teams are Europe/Africa, Canada, Latin America and Asia Pacific. The six U.S. teams include West, East, Southwest, Southeast, Central, and the host team, Oregon District 4. 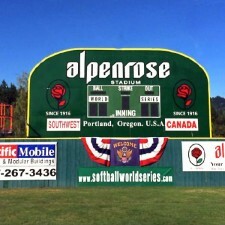 For the 24th consecutive year, the Little League Baseball International Board of Directors chose Alpenrose Dairy in Portland, Oregon as the site for the 2017 Little League Softball World Series the week of August 9th-16th. 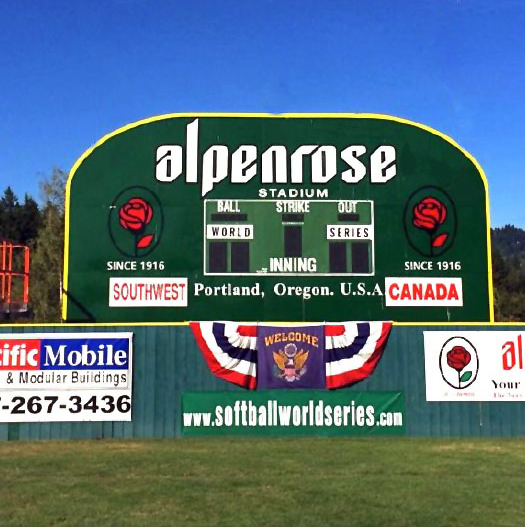 "Alpenrose Dairy started hosting the Little League World Series in 1994 and we are proud to keep that tradition going today," said Carl Cadonau Jr., President of Alpenrose Dairy. "It's part of who we are; as a locally owned company and members of the community. Promoting healthy choices is part of the Alpenrose brand and we are happy to support these young athletes." Teams begin arriving Monday, August 7th and on the 8th teams will kick-off the games with an Opening Ceremony celebration. Game one Canada vs. East starts Wednesday, August 9th at 10 a.m. The World Championship game is on Wednesday the 16th at 6:00 p.m. and will be broadcast live on ESPN2. A special Challenger Game will be played on Saturday the 12th at 12:30 p.m. Kids with special needs will take the field and get to enjoy the full benefits of participating in a team sport and maximize their potential and abilities. Admission to the week-long event is free. For more information and complete series schedule go to http://www.llsws.org. Come cheer on your favorite team! This is a free event and open to the public. Alpenrose Dairy is located at 6149 Southwest Shattuck Road in Portland.